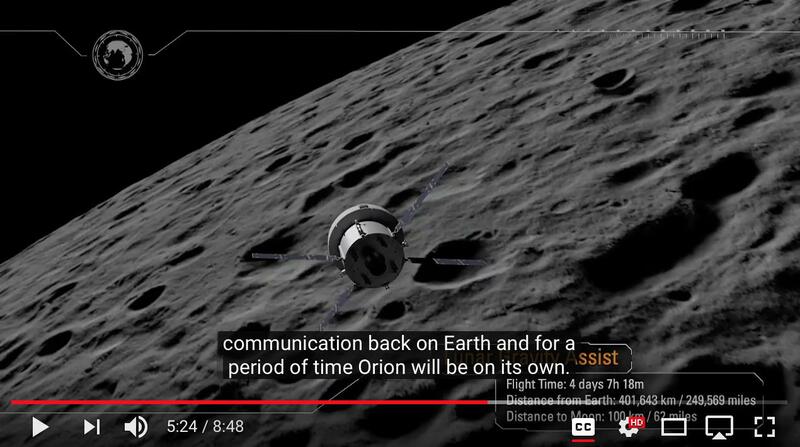 Do Orion's solar panels have adjustable sweep? 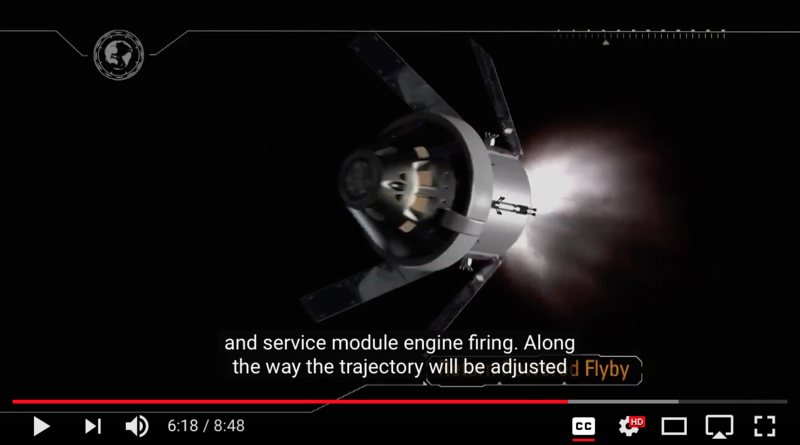 In this video overview of NASA's proposed EM-1 mission, the solar panels on the Orion spacecraft are initially shown extending perpendicular to the spacecraft (at around 3:46). 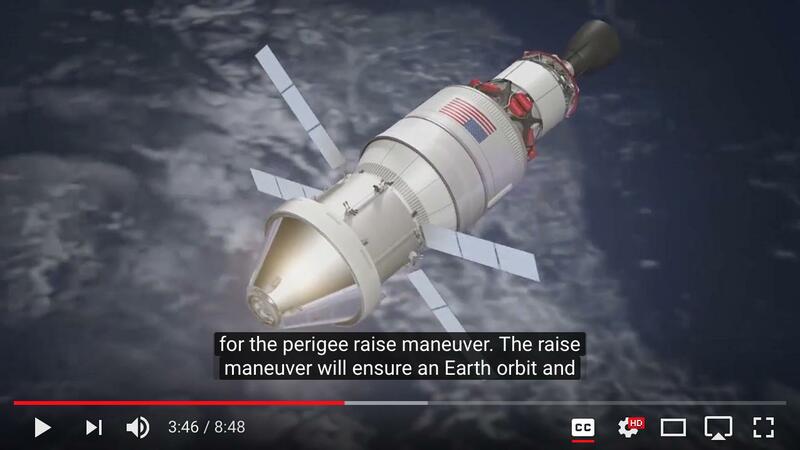 At 5:24 in the video, while flying by the moon, the panels once again extend perpendicularly, but are rotated to face the sun. At 6:18, during a propulsive maneuver using the service module engines, the panels are now swept far forward. What's going on here? Why do the panels sweep both forward and back? Obviously the sweep isn't for aerodynamic purposes. Having paid the weight and complexity cost of a forward sweep mechanism, sweeping backward using the same mechanism reduces mechanical stress on the mountings during ICPS burns. However, the RL10 engine on the ICPS develops about 110kN; against the 40 tons of stage and spacecraft at the end of the burn, this is only about 1/3g acceleration. It seems wrong that the extended solar panels wouldn't be able to support their own weight in Earth's gravity, if only for convenience in assembly of the spacecraft. The wing is connected to the spacecraft structure via a two-degree of freedom Solar Array Drive Assembly that allows the array to be oriented in two independent axes by the Solar Array Drive Mechanism that is actuated by the Solar Array Drive Electronics (two units, each with two channels) which use inputs from sun and attitude sensors to optimize solar array pointing for maximum power generation. Reduce stress during acceleration maneuvers. Even though aerodynamic stress is non-existent, accelerating the vehicle causes the long solar arrays to exert torque on the drive mechanism. During Trans-Lunar Injection, the acceleration from the SLS upper stage requires the panels to be canted to the rear. Protect the solar panels. The lower acceleration burns for Lunar Orbit Insertion and Trans-Earth Injection of the ESM engine require forward canting to keep the panels out of the ESM engine plume. This is not necessary for TLI since the engine is farther away at the end of the SLS upper stage. 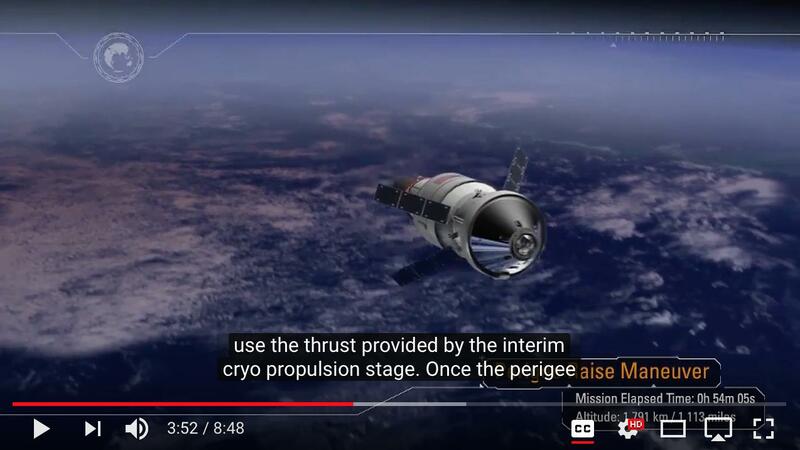 For the trans-lunar injection performed with the upper stage of the Space Launch System rocket, actually the iCPS (interim Cryogenic Propulsion Stage), the arrays are canted backwards to sustain in deployed configuration the 1 g acceleration load. For the trans-earth injection performed with the ESM main engine, the acceleration is less severe and the arrays have to be canted forwards to prevent damages from the OMS-E engine plume while minimizing the load on the SAWs. This information can be corroborated from an informational video published by RUAG, the SADM manufacturer. This article from EDN also gives the same information. Not the answer you're looking for? Browse other questions tagged solar-power orion-spacecraft sls rl-10 or ask your own question. Do solar panels on satellites gather dust and need cleaning? Why didn't Gemini, Apollo or STS use solar panels? Why do Juno's solar panels narrow toward the core? 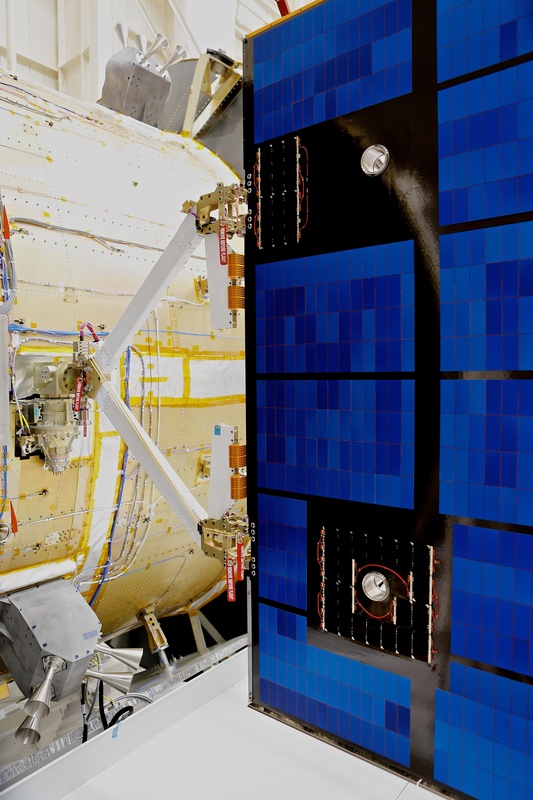 Can ISS fold its solar panels? What effects does atmosphere have on solar panels? Why the MASCOT lander has no solar panels?